Architecture and land planning. Offices in Pleasanton and Irvine. Walnut Creek practitioner with additional offices in San Francisco and Pleasanton. Provides accounting, tax preparation and computer consulting. Specializes in residential, hospitality and healthcare designs. Business profile and contact information are given. Located in Pleasanton. Ben Nye makeup dealer with locations in Pleasanton, Walnut Creek, and Antioch CA. Also, sales and rental of costumes and dance wear. Sells dancewear, dance shoes, stage makeup, costumes and accessories. Stores in Fremont, Walnut Creek and Pleasanton. pleasanton, california, united states. light to medium duty towing and recovery service, roadside assistance, lockouts and auto repair. Consulting firm with offices located in Fresno, Bakersfield, Visalia, Pleasanton, and Sacramento, offering a wide range of geotechnical, environmental, and construction support services. A medical billing company based in Pleasanton, California. Rubber stamp and scrapbook supplies. Pleasanton, CA. Pleasanton, California shop offering hand painted needlepoint canvases, threads and accessories, classes, and design consultation. Southwestern items such as handmade Native American jewelry, crafts, linens, wall hangings and other artwork. Located in Pleasanton, CA. Designs and delivers wedding arrangements, bouquets, and green and blooming plants for all occasions in Dublin, Pleasanton and vicinities. Includes catalog and consultation fax forms. Dojang in Pleasanton and information about the USTF. Lots of pictures of this buff boy that lives in Pleasanton, Texas. Located in Pleasanton, California, USA. Contains the owners profile, photo galleries and links. Contains unit objectives, links, calendar of events, eagle graduates and a photo album. Contains merit badge counselors, links, a calendar of events, forms, and a photo album. Saddlebred training, breeding, and riding instruction in Pleasanton, Kansas. Photos of horses and services available. Located near Pleasanton. Deer, dove, waterfowl, wild hog, turkey, varmint, and quail hunting. An orthopedic surgeon with clinics in Fremont and Pleasanton, with expertise in sports medicine, knee & shoulder arthroscopy, and joint replacement. Exhibitor of Cavaliers located in Pleasanton, California presents pictures, pedigrees and information on her dogs. Focuses on bio-mechanics of both horse and rider to create balance in movement. Offers horses for sale. Located in Pleasanton, California. The official site with news, scores, and standings. Serving the Northern California cities of Pleasanton, Livermore, Dublin, and San Ramon. Residential care facilities for the elderly. Includes services, rates, addresses, employment information,and contacts. Pleasanton, Castro Valley, and San Francisco. Information includes crew profile, calendar, event log, photo gallery and contacts. Located near Pleasanton, Texas. Deer, dove, waterfowl, wild hog, turkey, varmint, and quail hunting. Sales and breeding of cattle and quarter horses. Produces a range of reds and whites in Pleasanton. Includes product information, award list, a company overview, picture galleries, and an event calendar. Pleasanton microbrewers of Paint The Town Red Ale, Honey Blonde, IPA, and ESB. Includes beer styles, virtual tours, events, and availability. Located on HopYard Road. Certified plastic surgeon in Pleasanton. Creates a customized surgical plan with the highest regard for realistic expectations, costs, health risks, and time away from work and exercise. Standing Tassajara Winterbrew, 1995 black bay tobiano half Arabian, and ga Sun Dancer, 1997 Champagne pinto Quarab. Offering foals and trained show horses for sale. In Pleasanton. Providing comprehensive orthopedic and sports medicine care in Pleasanton, San Ramon, Livermore and Tracy. Includes details of services, physician profiles, and patient information. The System is comprised of a medical center, hospital, cancer center and library and other healthcare facilities serving the Pleasanton and Livermore areas. Hosts racing information for the following California Fair Horse Racing at Stockton, Pleasanton, Vallejo, Santa Rosa, San Mateo, Ferndale, Sacramento, Pomona and Fresno. Eastern Medical Center provides acupuncture, acupressure, qigong, and Chinese herbal preparations in Pleasanton. Licensed, professional speech-language pathologists specializing in pediatric and adult communication disorders and language development. Located in Pleasanton, CA. Listings of horses for sale with training in Dressage by Angela Ridgway at La Jolla Equestrian Center in Pleasanton, California. Offers CD authoring, web design, and 2D/3D animation. Located in Hyderabad, India and Pleasanton, California, United Sates. Providing web site design, development, internet marketing and website promotion. Located in Pleasanton, California, United States. Offers graphic design, web design, illustration, 3D design, and e-commerce solutions for start-up and established businesses. Located in Pleasanton, California, United States. general civil practice based in pleasanton. personal injury firm with offices in oakland, livermore, pleasanton and walnut creek. practicing in the areas of family law, business law, wills, trusts, and probate law. offices in pleasanton and san francisco. attorney with offices in hayward and pleasanton, offering services in the areas of estate planning and probate. business lawyer focusing on commercial and residential real estate law from offices in lafayette and pleasanton. independent and family owned funeral homes, serving the communities of pleasanton, devine, and pearsall. law firm, based in pleasanton, offering representation for personal injury, wrongful death, fraud, and harassment cases. bilingual services for livermore, dublin, san ramon, pleasanton, and surrounding areas. offers services, fees, faqs, and online request. Guide to the areas best Christmas lights and displays. Listings for Livermore, Pleasanton, San Ramon, Danville, Dublin and the Tri-Valley area. a pleasanton based law firm servicing clients in the areas of business and corporate law, tax law, employment, real estate, litigation, and estate planning. Christmas lights and displays from the Pleasanton, Dublin, Danville, Alameda County, San Ramon, Livermore, Tracy, Lathrop, Fremont, Alamo, Stockton, Manteca and Tri-Valley area. located in pleasanton, this club plays top 40, r&b, old school and hip hop tunes. Community theatre provides audition information and information about current and upcoming shows. Temporary henna tattoo services including, bridal and arabic designs for wedding, eid, karava chauth events. Small photo gallery with bridal mehndi designs. Pleasanton, California. SiteBook Pleasanton City Portrait of Pleasanton in Nebraska. 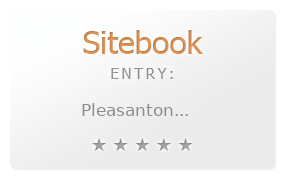 This Topic site Pleasanton got a rating of 3 SiteBook.org Points according to the views of this profile site.